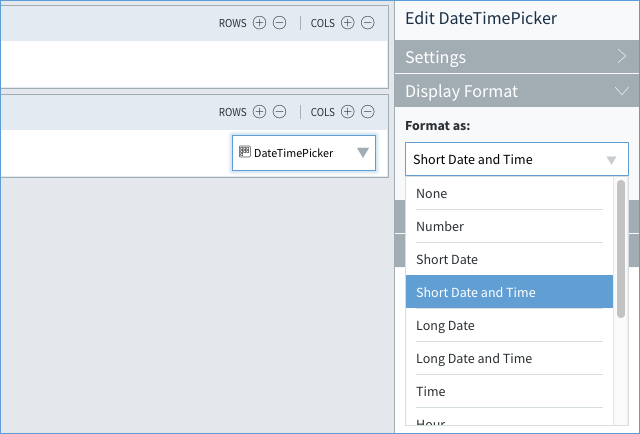 Many screens use DateTime pickers as a convenient way for the user to choose date and time information without having to manually type it in. They often resemble dropdowns, but they can be displayed a variety of ways. - Date: User can select a date. - Time: User can only select a time. - DateTime: User can select both the time and date (as shown above in image). Caption: What the control is called and titled when displayed. 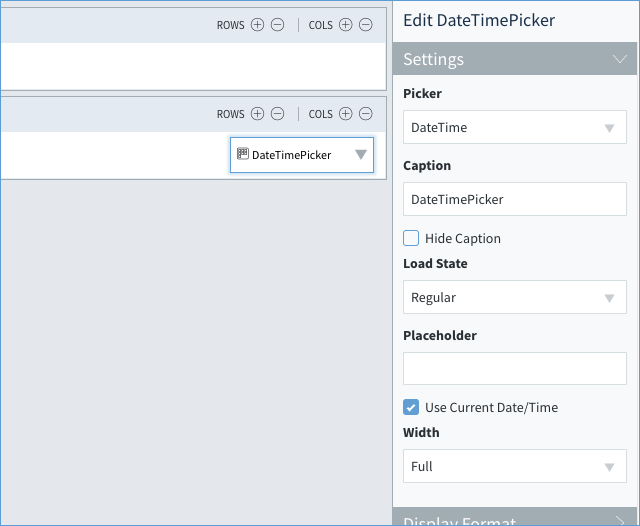 Use Current Date/Time: Sets the default value to the local current date and time. - None: Defaults to Short Date and Time. - Number: N/A for this object. 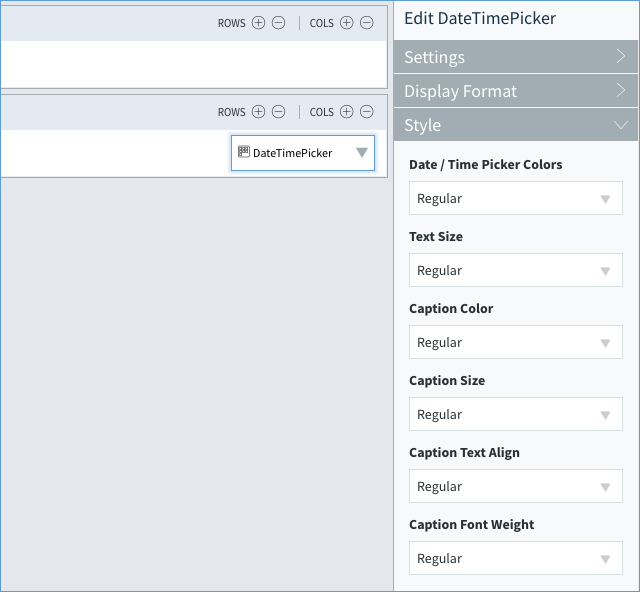 Date / Time Picker Colors: Pick the colors from the Method palette. Text Size: The size of text inside of the field, but not the calendar/time picker. Change event: Event triggers when a user changes the date in this object.